Virtualized networks evolving to 5G come with a promise of an optimized use of network resources which allows operators to extract more value and a better subscriber experience. The increase in flexibility, performance and cost efficiency comes with a price: increased complexity. 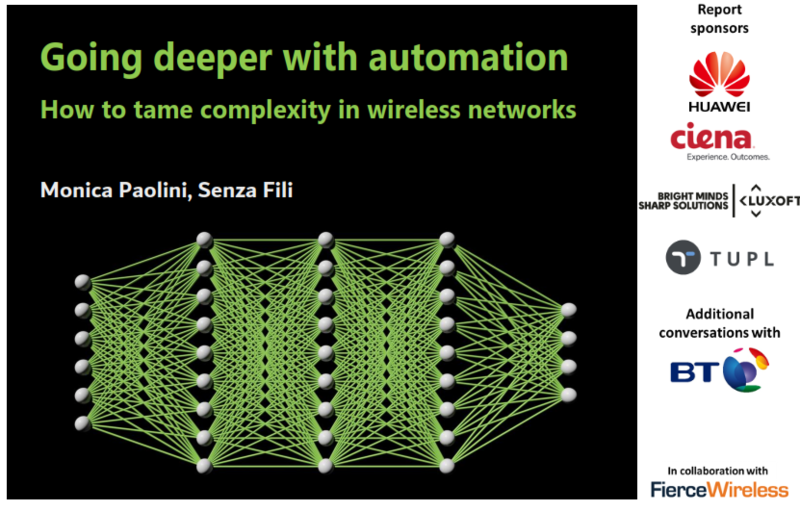 To manage (and benefit) from complexity, operators have to migrate to a deeply automated management of their networks. Moving from the current, still mostly manual practices, operators have to face a technology transition that affects the end-to-end network, and a cultural transition that reshapes the internal organization and requires a new skill set in their staff. The report looks at how operators are introducing automation in their networks, what are the options, what are the costs and benefits, and how that will change the way they run their networks. Going deeper with automation webinar is now available on-demand.